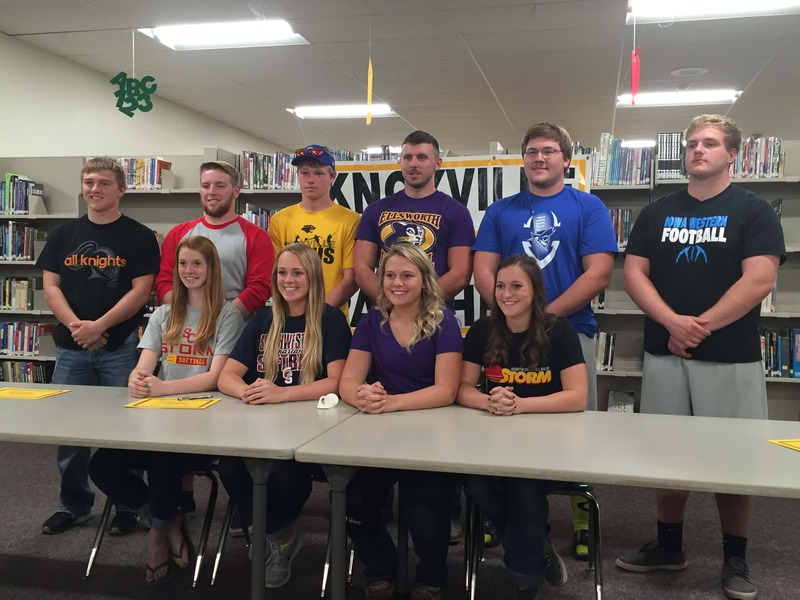 Ten Knoxville High School athletes where they will take their talents to the next level. Connor Bailey is going to Wartburg to play football, Jordan Beal will head to Graceland to play soccer, Brock Caviness will play football at Iowa Western, Carrie Chambers will take her talents to Simpson to play softball, Justin Devin will play football at Ellsworth Community College, A.J. Jackson will go to Simpson to play tennis, Cooper Kendall will play football at Iowa Western, Steph VandeKamp will play softball at Southwestern Community College, Ally Vanderhart will play softball at Ellsworth, and Emily Wallace will play softball at Simpson.